Have you heard the good news??? 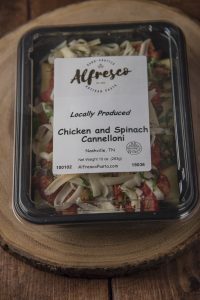 Alfresco Pasta is now offering our delicious and locally made fresh egg pasta in prepared Grab and Go Meals! Our Lasagna Bolognese and Chicken and Spinach Cannelloni are the first to be made available and definitely do not disappoint. 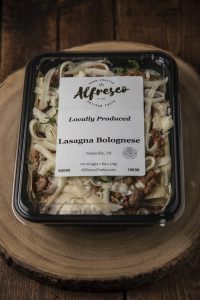 The quality and flavors that you have come to expect from Alfresco Pasta, topped with just the right amount of cheese and wrapped up in a delicious prepared meal. The tray itself is oven safe so just unwrap, remove the top, throw in the oven and enjoy.